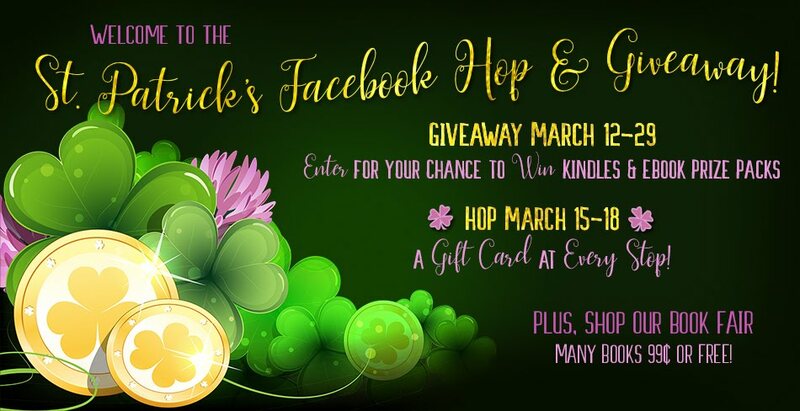 This month, everyone is Irish and worthy of a little extra luck, but will you be one of the 7 fortunate winners of the St. Patrick's Romance Giveaway to take home a Kindle Paperwhite, Kindle Fire, or one of several ebook prize packs? You'll never know if you don't enter! Giveaway starts on March 12 and ends at midnight on March 29. Winners will be announced in the Rafflecopter form on March31, 2018. All winning entries are verified to check that the winner followed the instructions on the entry button. (Yes, we really do check to see if winners have done the task). International winners will be provided with an Amazon gift card equal to the value of the prize won, rather than the prize listed. Winners agree to have their first name and last initial listed in the Rafflecopter form when winners are announced. Thank you so much for these giveaway opportunities, and not just for the prizes. Don't get me wrong, I appreciate the prizes! But what I appreciate even more is that these giveaways always introduce me to authors I haven't come across yet, but wish I had a long time ago. This was a lot of work. I really hope I win. I save some authors that I liked along the way. Thank you for the contest. Thank you for a great, fun giveaway. I found several new to me authors who write books I love to read! Thank you for leading me to these authors. Thanks for all the awesome books and giveaways . Thank you so much for this awesome hop!! Happy St Patrick's Day!! Thank you so much for the chance at these wonderful prizes!! Thank you for the giveaway chances and nice to meet new authors!! Thank you for the awesome giveaway! I love meeting new authors! Thank you for the chance! Thank you for the chance . 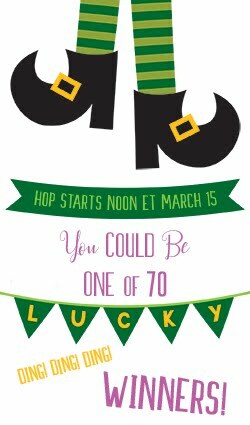 I enjoyed doung the hop and finding new authors. Time consuming but found some new authors. There were issues with some of the hop links. And another issue...the bonus giveaway I tried to enter before Noon ET on 18 March stated it was expired. God i hope i win even though i never win stuff like this .. Thanks for having a Happy Giveaway. I love reading books, magazines, really almost anything. Thank you. I´m excited. So many good authors together. I wonder how you plan to check because my bookbub and amazon accounts are not under the same email and neither are under the email I used for rafflecopter. Thanks for contest.. I just hate going through a bunch of emails from all the authors..
thanks for holding the contest! Is there a place to check who the winners were? Thank you again for the great fun!